Welcome to Day #6 of Chocolate and Brazil Theme Week. 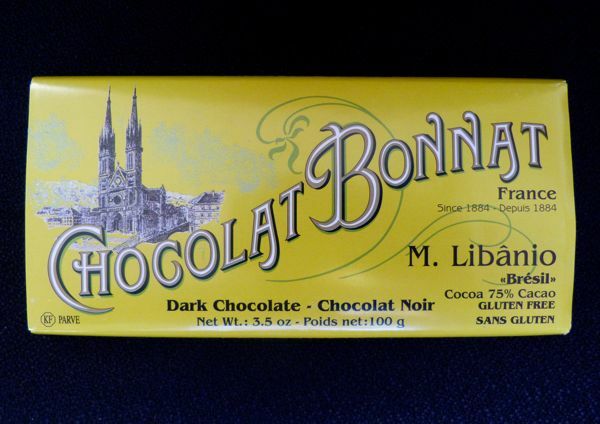 Today's M. Libanio "Bresil" 75% cacao bar was made by Chocolat Bonnat (France). Chief chocolate maker, Stephane Bonnat, is the chief bean-to-bar maker who carefully selects cacao beans to make a variety of creamy and flavorful single origin bars. M. Libanio is the name of a plantation located in a coastal area of the state of Bahia, in Eastern Brazil. 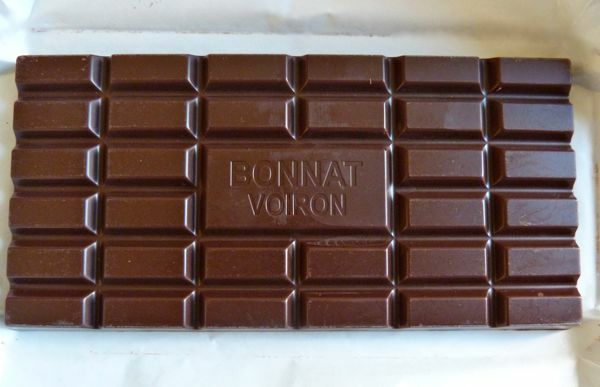 Today's bar had faint coffee, spice and fruit aromas, creamy smooth texture, and a rich (complex but smooth) dark flavor.